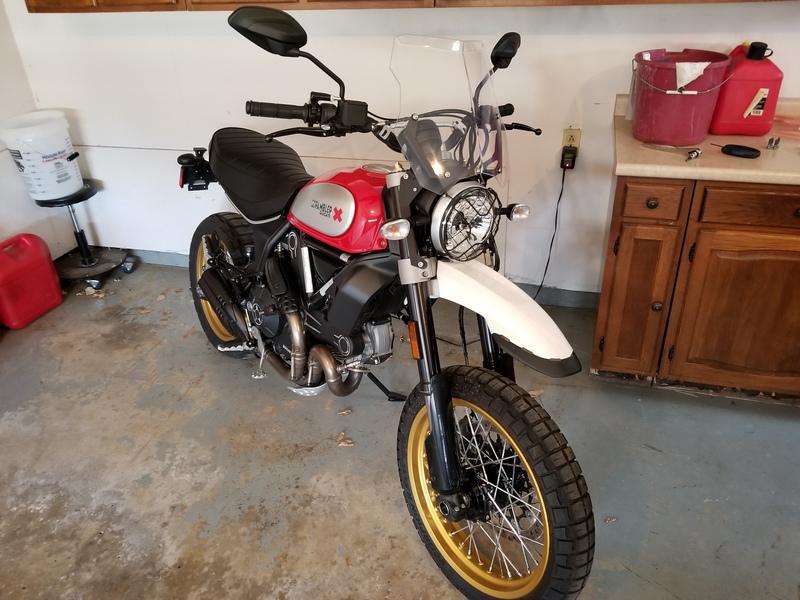 Bought my Desert Sled spring 2017. I have been waiting up to this point for some aftermarket parts to come out, specifically a good windshield and slip on exhaust besides the Termi. 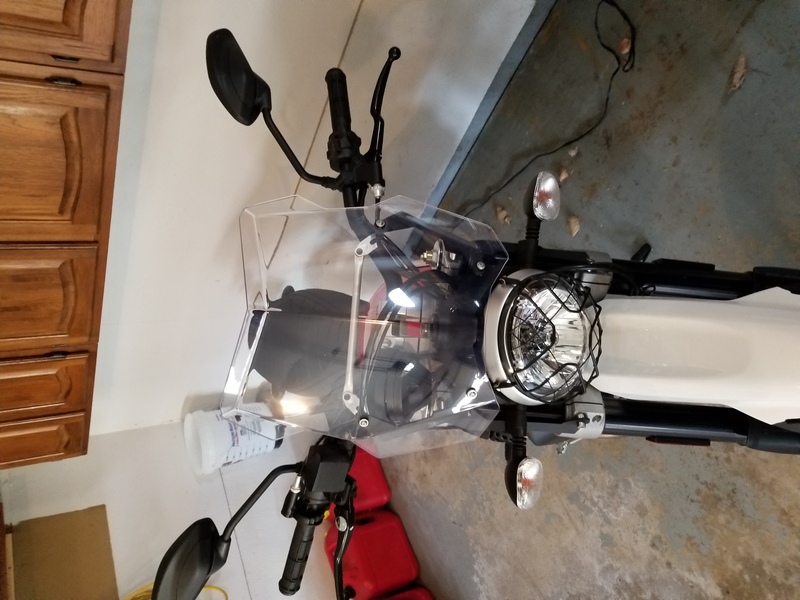 This am I had the chance to mount my new Touratech windshield and thought I would post up a pic to show what it looks like. I have an Arrow slip on exhaust with a race mid pipe enroute from Accessories International in Miami FL. I will post some pics of the exhaust mounted when I receive it and get it on the bike. I hope this helps out anyone that has been searching for the same out there. I think the touratech windshield will work awesome. Once the exhaust arrives I plan to dyno the bike and complete a remap as well. Cant wait get riding. This looks really efficient like the BMW windscreen. What is your feedback and How do you like it? I'm in south Texas so usually warm (and I don't need the large screen) but now that winter is coming, I'm looking to increase wind protection in the cooler hwy rides out to the off road!